A vintage Teak Sideboard with bow front in good vintage condition. This is a very unusual vintage Teak Sideboard with bow front making it truly unique. With a pair of presses to each side and a drop down drinks bar beside 3 ample drawers. 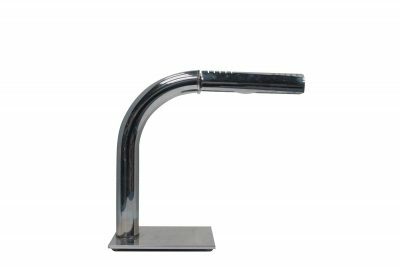 In very good vintage condition and with fine handle detailing this is a stunning piece of mid-century modern furniture. 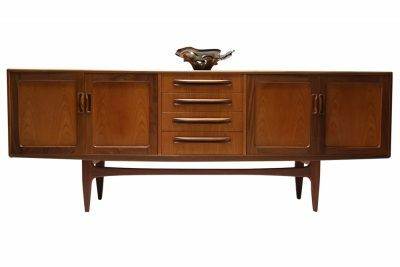 Customers can shop with absolute confidence on thevintagehub.com knowing that their Teak Sideboard with bow front will arrive safe and well. Each piece will be exactly as it was described. We look forward to hearing from you. 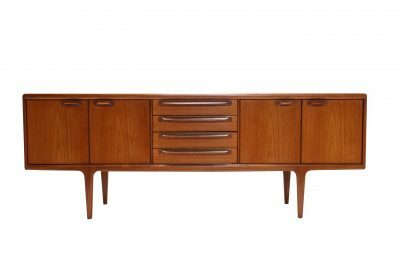 For further info on this Teak Sideboard with bow front please e-mail us directly; [email protected] We will give you whatever information or added photographs that you require, as quickly as we can get them.